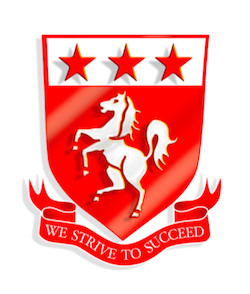 Hurstmere School is a respected non-selective secondary school for boys in Sidcup, in the south-east London Borough of Bexley, and attended by approximately 1,050 students. The school provides students with a broad range of resources to support different learning styles, and uses a wide range of digital technologies, particularly eLearning resources. The school was looking for new and engaging resources to support students in English, and chose LiteracyPlanet due to the gamifed nature of the programme and the ability to use it to focus on specific needs of students and close gaps in their understanding. The main focus students were those eligible for Literacy and Numeracy Catch Up and Pupil Premium Grants. Hurstmere has been using LiteracyPlanet now for three years. Originally implemented as a literacy intervention for about 100 Pupil Premium and Catch Up students, it was quickly introduced across the whole of Year 7 and used as a regular part of English homework. The Heads of English and SEN then decided to deploy it across all of Key Stage 3. Initially they set up task templates containing all the exercises for each year level, which were then assigned to students for them to work through. Over the last two years they have taken a different approach, and created task templates focused on specific skills. For example the ‘Year 7 Introduction Template’ is focused on spelling, grammar and comprehension skills, with Years 6, 7 and 8 tasks. A ‘Year 7 Challenge Template’ runs alongside this, for students who want to push themselves. This has been replicated for Years 8 and 9, and teachers can reuse the templates from year to year. Teachers like the fact that they can set homework for the students that is fun and engaging, and also helps them develop their English skills. They have found that a lot of students actually spend more time than directed completing tasks. The Head of English particularly likes the comprehension activities, which have aspects that are similar to the new GCSE specifications. Students enjoy the short tasks and the fact that they are gamified which means that they are having fun whilst learning. The variety of tasks also keeps the students engaged and wanting to master the tasks, rather than giving up if they find something difficult. Pupil Intervention Manager and SENCO Andy Reddy uses LiteracyPlanet for targeted literacy intervention, and has created a scheme of work that incorporates LiteracyPlanet with written work. Mr Reddy has also used the platform for individualised tasks. When a parent contacted him and explained that her son was having trouble with certain phonics sounds, he was able to create a template and assign it to the student with games focused at these areas. He has since done this a number of times, and other teachers also assign specific tasks to students who they notice need targeted support. According to Mr Reddy, “LiteracyPlanet works well as a literacy support provision and through our deployment method, we have seen some fantastic improvements with some of our key target student groups”. One of the main ways the school has been monitoring the impact of intervention using LiteracyPlanet is to look at the improvements students are making in English based on their Average Point Score. There has been a clear correlation between the students who are using LiteracyPlanet the most, ultimately scoring the most points, with an increase in their English Average Point Score. The Catch Up eligible students from 2015-2016. in Year 7 who scored over 1,000 points saw a gain of 6.25 points, compared to a gain of 1.1 for those students who were Catch Up eligible, but did not use LiteracyPlanet as regularly. Further to this, high impacts have been seen for students with SEN, with SEN Support students showing a gain of 5.0 points and students with a statement or EHCP showing a gain of 4.0. Specialist Sports and Science Academy for boys, part of the Penhill Trust. Years 7 to 9 (Stage 3). LiteracyPlanet works well as a literacy support provision, and through our deployment method we have seen some fantastic improvements with some of our key target student groups. There has been a clear correlation between the students who are using LiteracyPlanet the most, ultimately scoring the most points, with an increase in their English Average Point Score. Andy Reddy, Pupil Intervention Manager/SENCO.